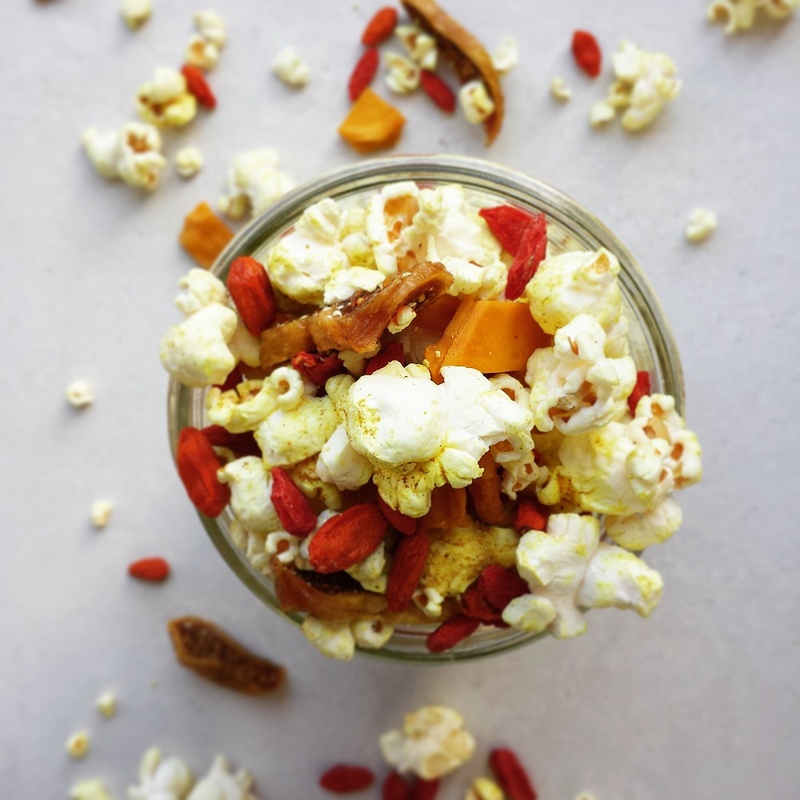 We partnered with Made in Nature to bring you a few healthy snack options featuring their organic, refined sugar free snacks, including homemade popcorn mix, sweet potato "toasts" & veggie summer rolls. 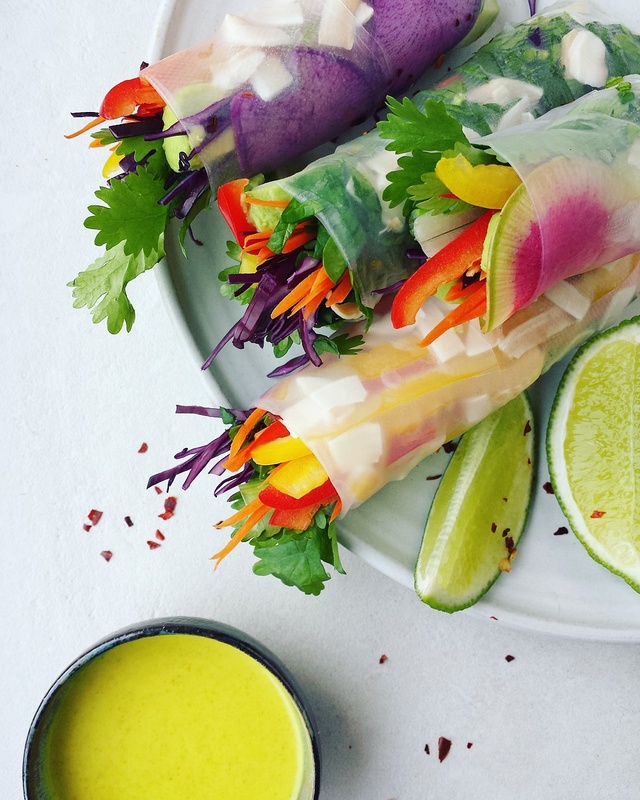 For a full tutorial, including how @conscious_cooking wraps the perfect summer rolls, take a look at our Facebook Live stream here, where our very own @kevmasse talked healthy eating with wellness expert & clean eating chef @thehealthyapple! Dip rice paper in warm water for 3-4 seconds or until it becomes moistened. Lay on work surface and allow the paper to absorb the water (30 seconds to 1 minute). 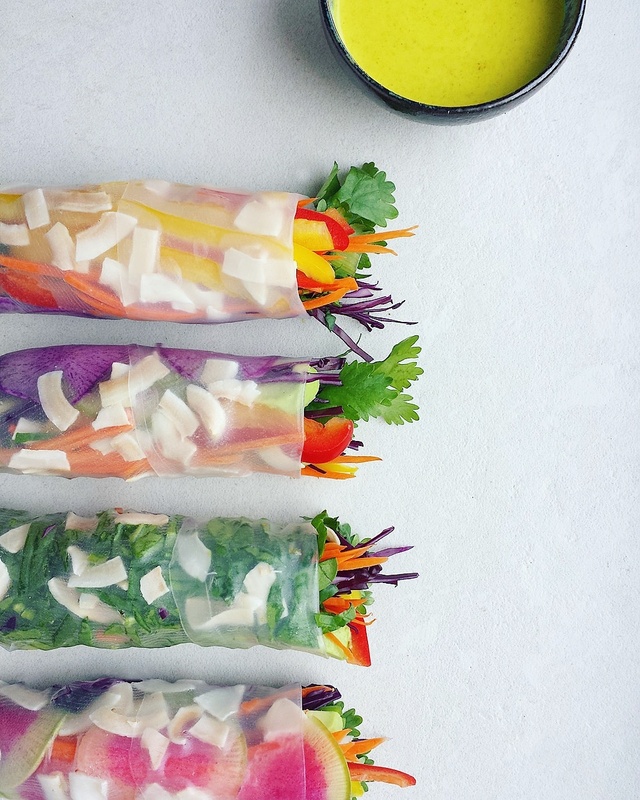 Layer carrot, cilantro, scallions and avocado - top with coconut chips and wrap, tucking in ends as you go. Using a bit of water on your finger, create a seal along the seam. In a small saucepan, heat coconut milk, curry powder and arrowroot powder, and stir until slightly thickened - remove from heat and stir in ginger juice, lime juice, honey, and sea salt. Toss potatoes with olive oil, salt and pepper and lay on a parchment line rimmed baking sheet. Roast for 20-25 minutes or until golden and crispy - turning halfway through roasting. While potatoes roast, whisk yogurt, tahini, lemon juice and ras el hanout in a small bowl. Set aside. 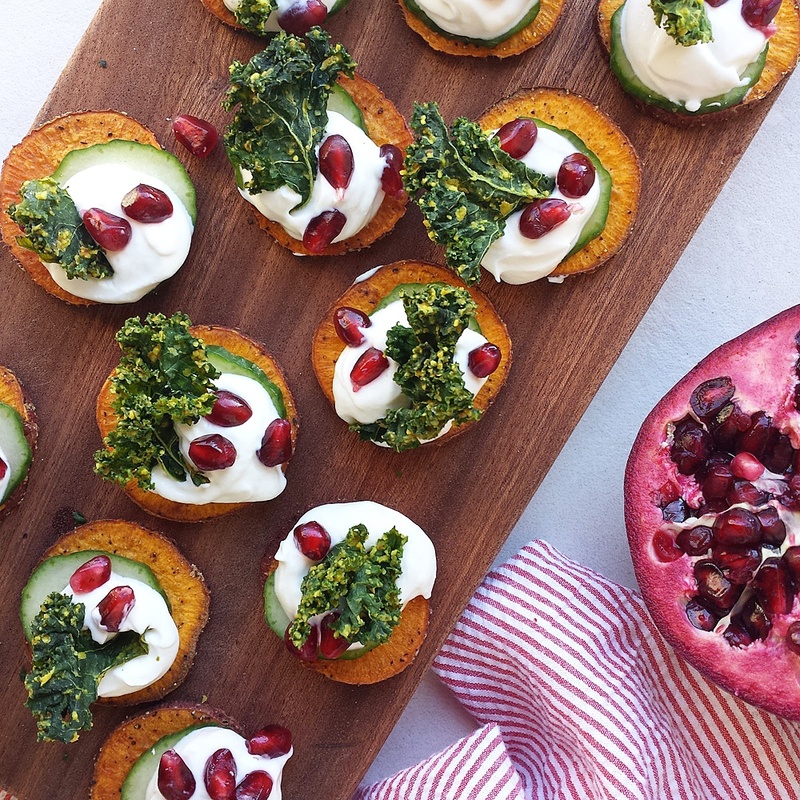 Slice cucumber and remove pomegranate arils. When potatoes are done, transfer to a wire baking rack and allow to cool completely. Top potatoes with a slice of cucumber, a dollop of sauce and pomegranate seeds. 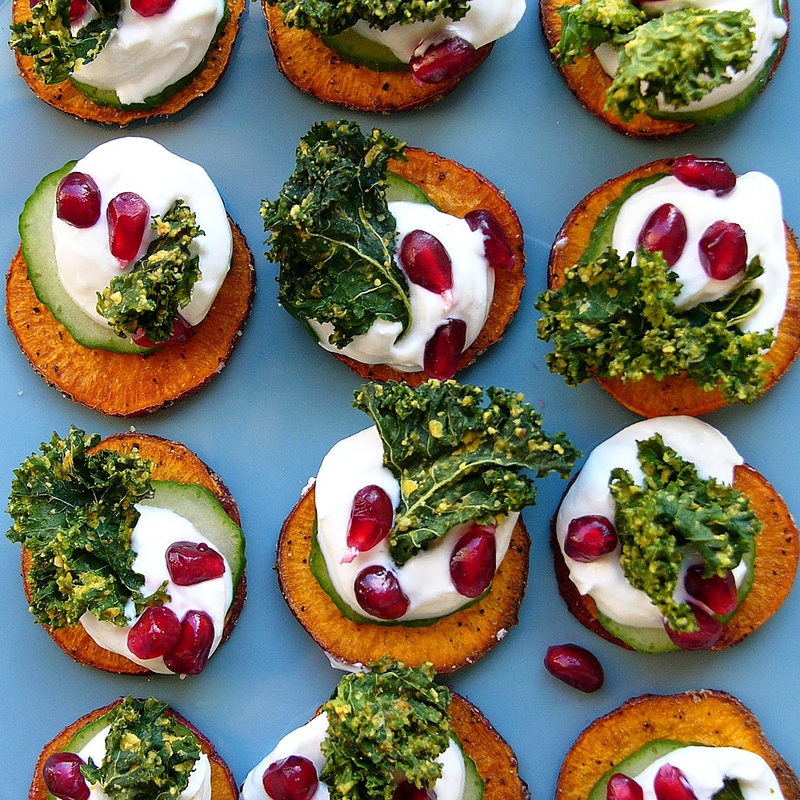 Garnish with kale chips. 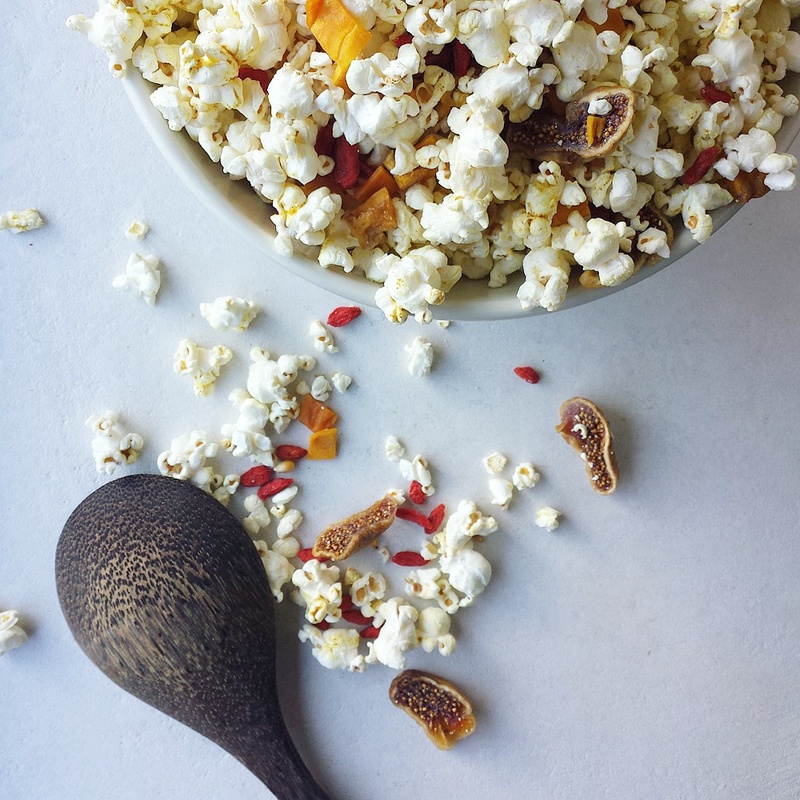 In a large bowl combine popcorn and Made in Nature dried fruit. In a small bowl whisk the oil with curry powder and salt. Drizzle into the popcorn and toss well, until the popcorn is evenly seasoned.